Hello, lovelies~ Do you regularly use face creams at night? If you don't, I suggest you pick one and start incorporating it in your skincare routine. Skin have a faster regeneration rate at night, so they repair those cells that are damaged during the day. One of the questions I get asked most often is, " Can I use my day time moisturizer as my night time moisturizer?". If it doesn't contain sunscreen protecting factor (SPF), then by all means, feel free to use it. The moisture from the cream helps to keep skin cells hydrates, thus enhancing their performance of regenerating their cells. 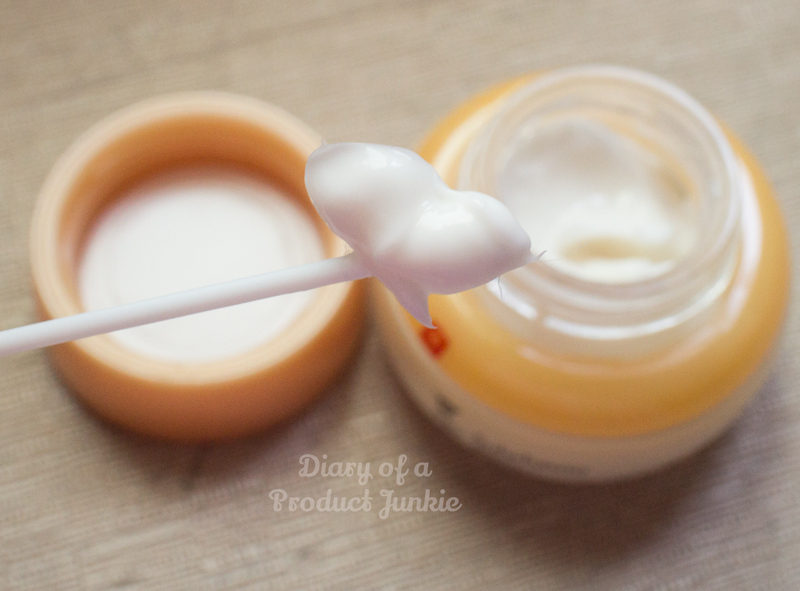 Now that you know all about night time creams, I want to share my thoughts about a night time cream that you may be interested in. 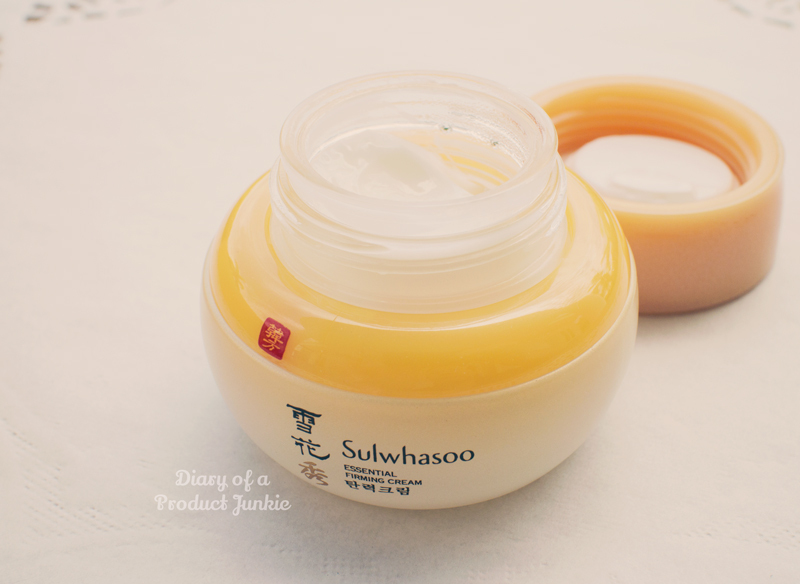 Present as one of the three items in the Sulwhasoo Essential Holiday Sharing Limited edition, it comes packaged in a jar with a twist off top. There is no spatula provided by the set, but I always use a cotton bud as a dispensing method. Jam packed with green tea leaf extracts and licorice extracts, it helps to boost antioxidant levels on the skin and helps even out skin tone or any discolorations on the skin. This cream is paraben free for those who are trying to reduce paraben-containing creams. It still contains fragrance, but it is positioned as the last one on the ingredients list, so no worries there. However, the thickness of the cream doesn't feel heavy at all on my combination/oily skin. Once I applied it evenly, my skin absorbs it without a moment to waste. There a medicinal, almost herbal scent to it, but it goes away after a while. 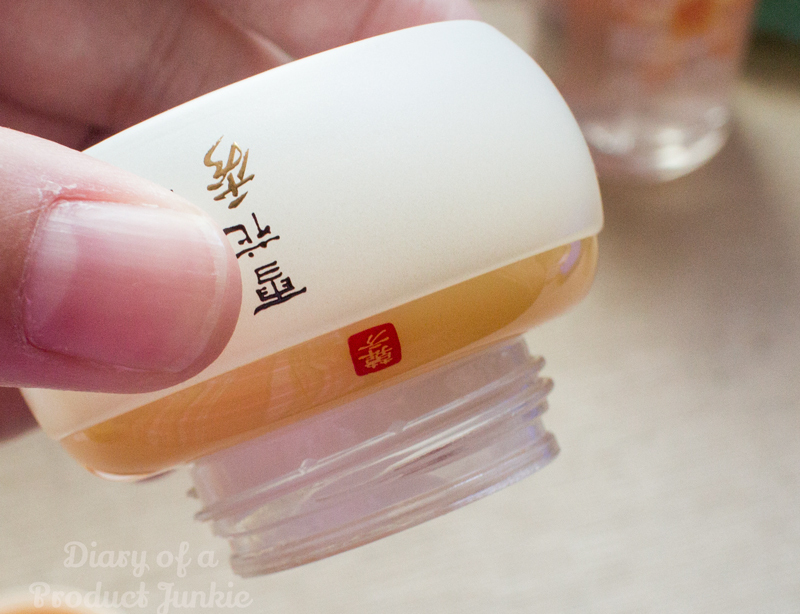 After a month of using this firming cream, I can feel my skin being more supple and firm. However, when my skin is extremely oily, I just reduce the amount of cream that I applied to my face. This ensures that I won't get overly moisturized that will end up in acne. Overall, a good night cream that will help keep the skin moist and supple with a slight herbal scent. 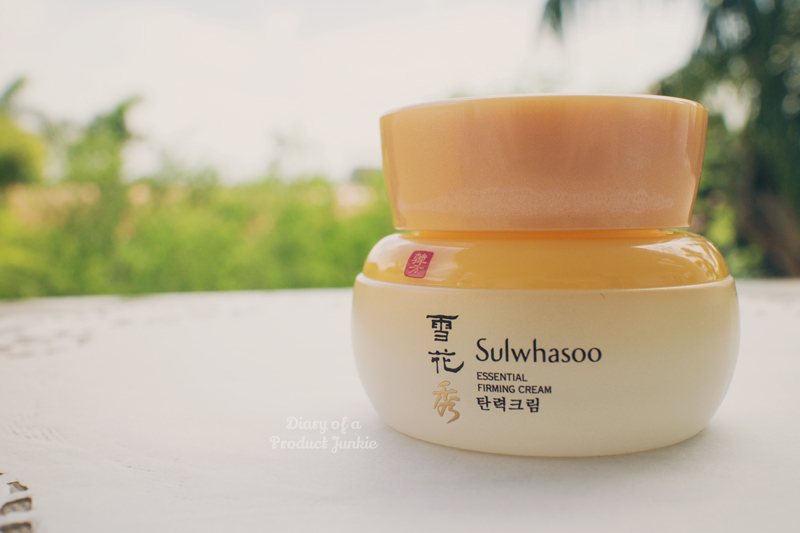 It can be too rich for those with oily to very oily skin, so either reduce the amount or change to a different line of skincare from Sulwhasoo. Apart from that, this would be a great option for those looking for high end skincare that is simple without much fuss. © 2010 - 2013 Diary Of A Product Junkie (Stephanie Nangoi) All Rights Reserved. so hopefully this might suit me.